Lemax Ski Racing Flags (Set of 3) display accessory for fixture or placement on a ski slope slalom ski course in a Winter scene. Lemax Ski-Racing Fags are three individual pieces to accessorise a themed scene in a Lemax village display. A Lemax Vail Village miniature accessory, which has been part of the collection since arrival in 2014. 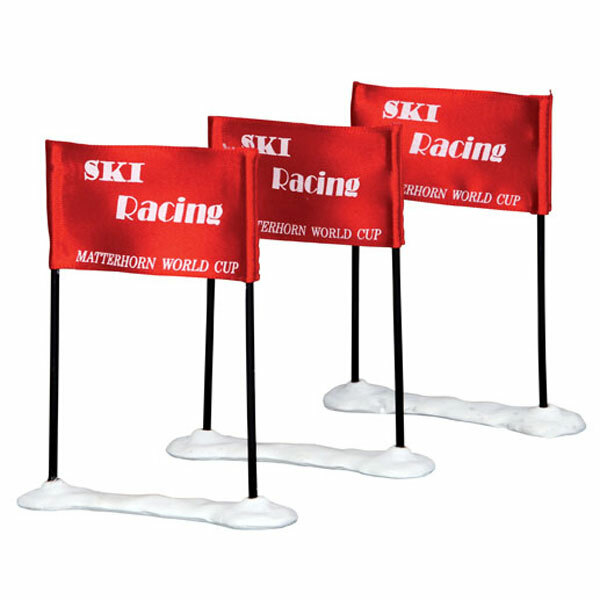 Ski Racing Flags are individual hand painted plastic scenic pieces mounted on snowed bases to compliment your seasonal Lemax Village display.